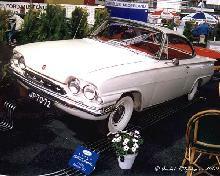 The first 200 Capris were hand made for export to Germany in time for the 1960 car show expo. 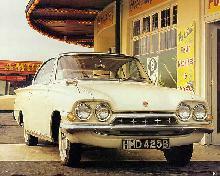 They were designed by Fords Charles Thompson and an ex Canadian jazz musician named Roy Brown. Roy was involved with the design of many great American Fords in the 40s and 50s untill he got to the Ford Edsel, named after Henry Fords son, the Ford Edsel was the first expensive Ford disaster. After that Roy turned up in a small outback Ford factory called "Dagenham" where he was involved in the design of the Anglia, Consul etc. 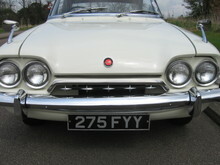 Then he did it again, another expensive Ford disaster, the Consul Capri. At the Dagenham factory the Capri was known as the "SunBird" a cross between the Yank-Tank Thunderbird and Sunliner models. The term Yank-Tank came fron early American, Dutch imigrants named Jan, collectively called Yan-kees, the tank bit was the due to their size. The term Dagenham dustbin was due to the fast rusting cheap recycled metal used on early British Fords.The early Capris were underpowered and also tended to snap the crankshaft, not nice in traffic! Dubbed by Ford as Britains first personal car ? 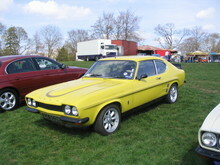 It had cutting edge disc-brakes, multi-speed wipers, four headlights, a dash dimmer and even a cigar lighter, all clever stuff but no help when you've got a broken crankshaft. 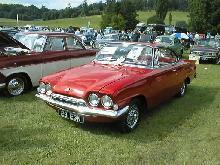 Both the Ford Edsel and Capri are now very sought after classic cars.